Fiqiri Ramazan Kllari was born on 21 February 1954. Fiqiri’s life, work and activity is inextricably linked with Shijak city. What distinguishes Fiqiri is the boundless love for the village Borake, Koxhas and Shijak area, where the Bosnian community created its settlements in Albania in 1965. The glamorous relief, the prosperous and fertile lands, the abundant water resources next to river Erzeni, forced the ancestry of this well known community in Shijak to decide to live there and keep alive and glowing the Bosnian habits and customs. This community survived miraculously and preserved the language and customs of their ancestors, without outraging them, but rather enriching them even at the time of the vicious unmatched communist system. Dr. Fiqiri’s name and authority kept growing so much that today he is rightly respected not only by the Bosnians of Borake and Koxhas village, but also by the citizens of Shijak, who are neighbors of Borake and Koxhas. 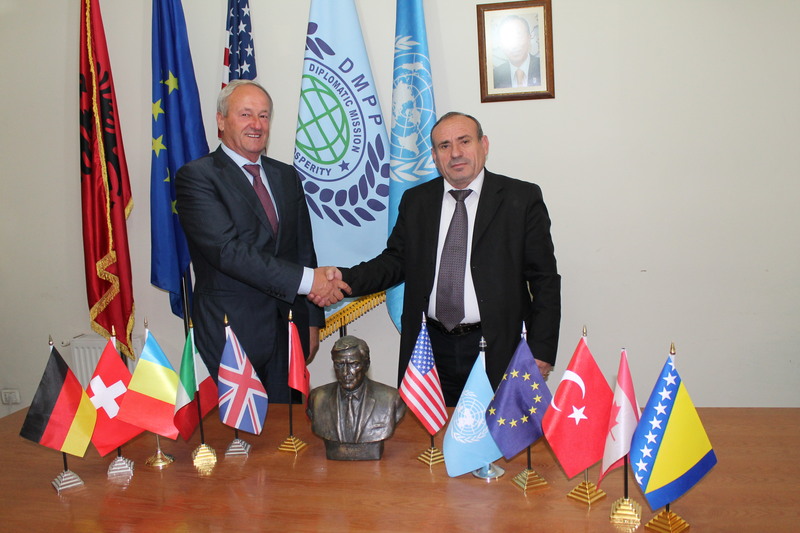 Before 1990, Dr. Fiqiri Kllari has been engaged in many tasks at the United Cooperative in Shijak, running specific sectors such as agriculture and livestock. He finished the professional school in Agronomy with very good results and was devoted to this profession until the communist regime collapsed and the wind of the new democracy started blowing. Fiqiri’s family, as part of the national minority of Bosnians, and because of their family ties with the famous Albanian athlete in the beginning of 1965, Adem Sabli, who fled to Yugoslavia (Belgrade), was targeted by the dictatorship regime of Enver Hoxha. Fiqiri was targeted as well. But the broad culture, his civic education, the subtlety and humanity in dealing with people, the desire to serve them, gave Fiqiri a favorable moral position, making him a public and very respectful man. His status became even more notable after the collapse of the communist dictatorship. 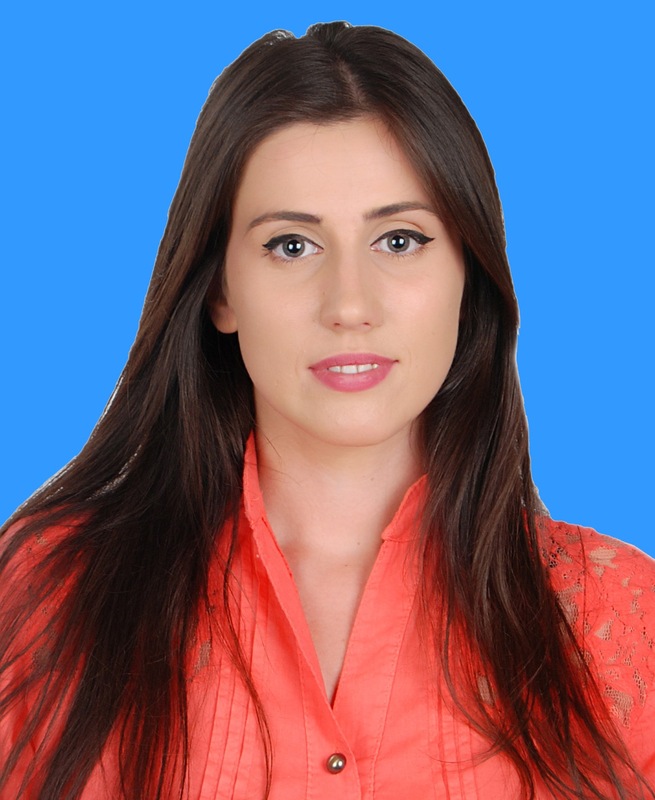 In 2011, Dr. Fiqiri Kllari finished his studies in the faculty of law, with very good results. 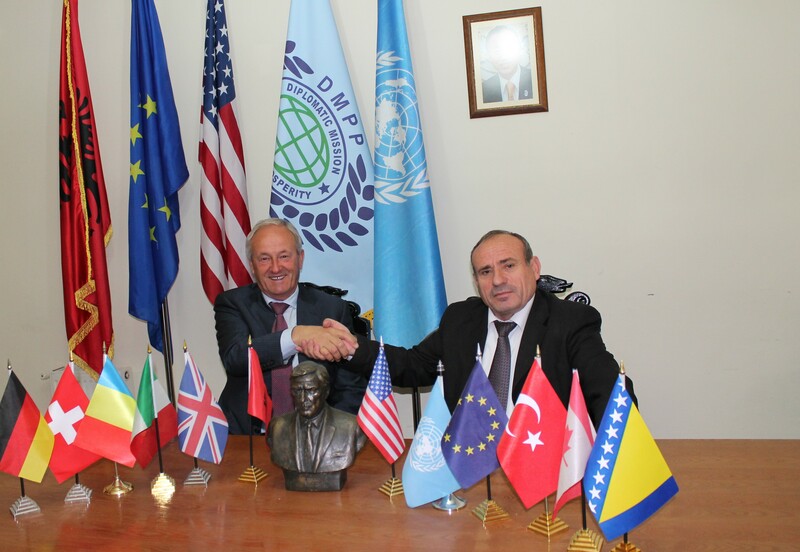 Thus, he made one of his wishes come true, to be a specialized personality engaged in the protection of human rights in Albania and particularly an activist to protect the rights of the Bosnian community. This activism gave him the opportunity to become the leader of this community. Fiqiri Kllari devoted all his time to commitments and undertakings of many duties and problems not only of his Bosnian community, but Shijak community as well. He loves, respects and protects Bosnians and Shijak people equally. Not only before 1990, but especially afterwards Borake, Koxhas and Shijak have been one in friendship, cooperation and communication. An indisputable merit in this regard belongs also to Borake’s good boy, Fiqiri Kllari. There are many Bosnians in Borake and Koxhas, villages known for their striking work and culture, who have never made a division between their activity and that of Shijak. They did this not only yesterday, but they still do it today, and they will do it certainly tomorrow. Their representatives are consistently next to city leaders in sports, arts, culture, economy and every job in service of the community, social harmony and peace. They have always been distinguished for their evaluative features. The worthiest representative of Borake and Koxhas is definitely Dr. Fiqiri Kllari, who is very famous and reputable not only in the Bosnian community, which he has the honor to serve, but also the city of Shijak and its people. Being an intuitive, demanding and active man with a wide horizon, Fiqiri did not wait for long, but quickly jumped into the arms of private business. He established his private company in the field of construction, holding the Bosnian name “Gllavica” Ltd, which he governs himself. Among others “Gllavica” Ltd is actively engaged in supporting the economic activity of the prominent Croatian company “Crosco d.o.o”. The organizational skills and efforts to undertake tasks of different nature, place the intellectual Dr. Fiqiri Kllari in honorary and advanced positions. Without neglecting his company duties, he was unanimously elected reeve of Borake village as he fully deserved the trust of Borake people. As he relies on his private business, he puts it also in the service of the community. He takes pleasure in serving people so much that they become very fond of Fiqiri Kllari. He is always the first in leading under his example in school inaugurations, sanitation and road asphalting in Borake, in building new roads and cemeteries, in improving the socio-cultural conditions of the area, in the education of children and youth, etc. All of these are done thanks to his personal monetary contribution. It is worth mentioning here the big opportunity that Fiqiri Kllari gave to many high school graduates to study abroad such as in Bosnia and Herzegovina, Croatia, etc. He also financed the Bosnian language learning in the elementary school “Adem Sabli” in Borake, bringing teachers from Bosnia. Even the village kindergarten is financed by him. Fiqiri’s incomparable humanism is proved by the numerous aid he sent during the floods in Bosnia and Herzegovina and Serbia, to the people in need either in festive occasions or not, patients who had no treatment possibilities, etc. In order to support the integrity of the Bosnian national minority in Albania, the language preservation and the best virtues of this noble and very peaceful community, he urged the creation of the National Association of Bosnians of Albania with the symbolic name “Lily”. Initially he was among the main leaders and, later after 2005, Dr. Fiqiri Kllari became the chairman of this association in the service of the Bosnian community. He is very fond of his village, Borake, but he never makes any difference with Koxhas and Shijak, an irreplaceable city for the Bosnian community. If you notice carefully Fiqiri’s work and activity, it is more than obvious that he is involved in the best works of Shijak city by full desire of every Shijak citizen and Bosnian minority. Fiqiri has ma de considerable financial expenditure for the construction of the new stadium “Tofik Jashari” in Shijak city. He was elected for some time in the leading staff of the football sports club “Erzeni” Shijak for his special values ​​in charity and helped them actively and financially with sponsorships and donations. Dr. Fiqiri Kllari became famous especially with the funding he gave for the mini football team “Erzeni” Shijak, making it the national champion team. This team was assisted financially by Fiqiri Kllari, participated in the international tournament of Mostar, dedicated to the former Bosnian president Alija Izetbegovic, in October 2013. 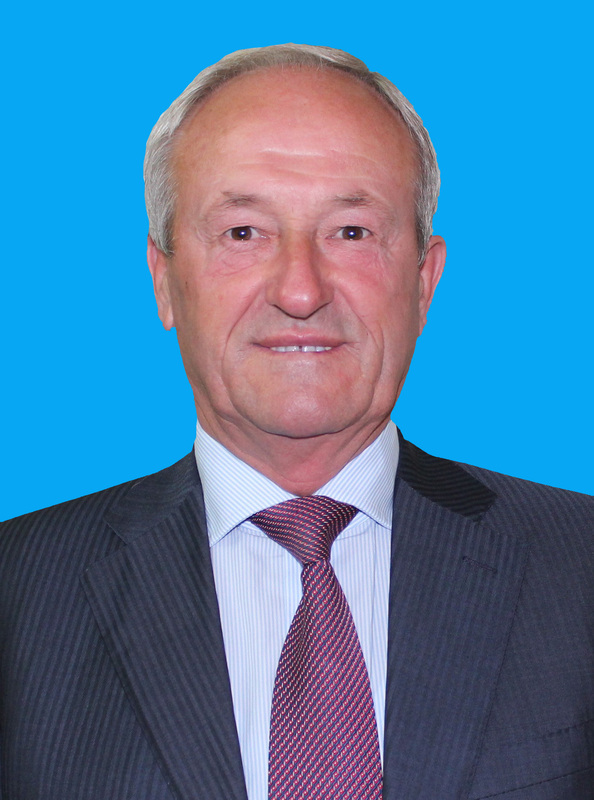 Dr. Fiqiri Kllari has been and remains a committed personality in the economic, social and cultural life of Shijak city. He is a social-community peace harmonizer. Now every resident of the area is aware that for him Borake, Koxhas and Shijak are one. Under the example of the tireless leader Dr. Fiqiri Kllari, there are now dozens of Bosnians, if not more, that represent the culture, art and sports of Shijak at all levels: local, national and international. The commitments of the intellectual Dr. Fiqiri Kllari as president of the company “Gllavica” Ltd, reeve of Borake village, chairman of the National Bosnian Association “Lily”, in the football and mini football team “Erzeni” are not the only values that he has brought to the community. Since 2008, Fiqiri Kllari is Honorary Consul of Bosnia and Herzegovina in Albania, playing a primary role in connecting and expanding the friendship between the two peoples and countries. So, now his activity lies as a major bridge connecting the friendship between Bosnia and Herzegovina and Albania, in order to fulfill many needs of their respective populations. His figure increases daily in the eyes of the citizens and communities of Shijak and Durres. He works unsparingly as a catalyst of social peace, but communities also evaluate and honor him. Concretely, in 2014 he was honored with several titles such as: “Honor of Durres City ” on June 9, “The Honor of Xhafzotaj Municipality” and “The Honor of Shijak City” on July 14. 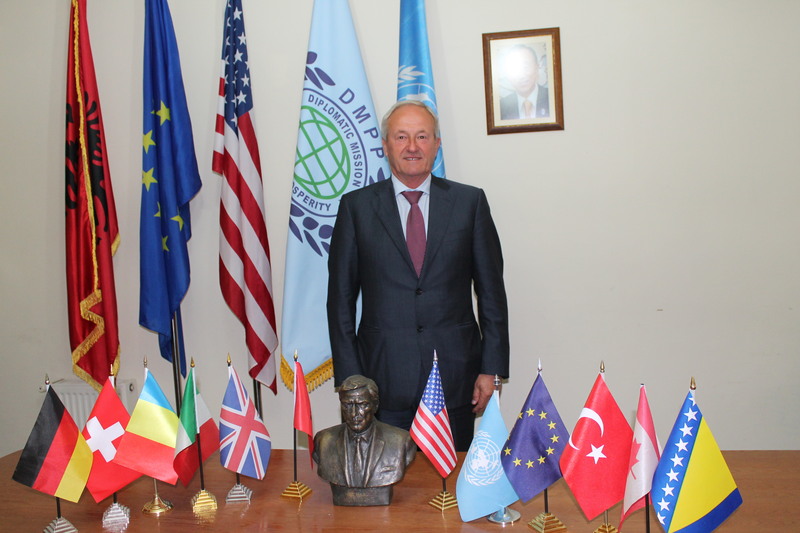 The prominent intellectual Fiqiri Kllari, thanks to his values ​​as a rare activist, engaged in the service of social peace in Albania and the Balkans, has been honored by the International Organization Diplomatic Mission Peace and Prosperity with the highest title as Peace Missionary – Honorary Ambassador.